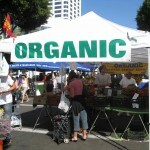 For many of us, farmers markets have become a regular part of our food shopping routine. Yesterday the Bionners had a pre-conference program called The Omnivore’s Discovery. We started the day at the Marin farmers market, which was a real treat. I had visited the market about two months ago when I was in the area and had a great time, it was fun to return. The Thursday market is the smaller of their two weekly markets. Sundays, which I will visit tomorrow is the third largest farmers market in the state…I cannot wait to see it. There was an amazing variety of fresh produce. Coming from Santa Fe, where the trees have already lost a lot of their leaves, I was happy to see peaches in October. At the Marin market there is also a wonderful selection of prepared food, I had a delicious breakfast burrito from the Tamale booth. What I really appreciate about eating at most farmers markets is that you know you are eating the freshest, and cleanest food available. In this region there is a tremendous commitment to this way of life. There is a recognition that our bodies are not nourished with artificial, processed products masquerading as food. The market also has olive oils, fresh bread, great coffee, and locally produced meat and cheese. The location is beautiful and after shopping you can add a walk around a beautiful pond. After our walk through the market, where we met Beth Sylver from Sylverleaf Olive Oil, Andrew from Full Belly Farm and Shelley a bee keeper and farmer from Arrowsmith Farm, we headed off to visit three farms. Farmers markets provide a wonderful opportunity for shoppers, especially city dwellers, to come a step closer to their food sources but going to an actual farm naturally brings us even closer. I confess, I grew up in the city and am pretty unfamiliar with life on a farm so I was eager for this opportunity. Our first stop was at a farm that had originally been a dairy and is now a cattle ranch, but they also lease land for farming. I was excited when I heard that the farmer who rents the land is originally from Beverly Hills, which is pretty close to my home town. He leases 30 acres and supplies many restaurants in the area, San Francisco and Berkeley and also sells at farmers markets. We also visited another cattle ranch and a dairy farm. It was an educational day for me out on the land, and I must admit I had some mixed feelings after being at the dairy farm. What I walked away with was a tremendous appreciation for the food that shows up at farmers markets week after week. It is a tremendous challenge to be a farmer and I think that until one visits a farm or talks with a farmer it is hard to really know how difficult it can be and how much work is involved. We are so lucky to have committed farmers who are devoted to this way of life and continue to bring us real, clean and healthy food. Imagine a world without farmers…what would we eat? 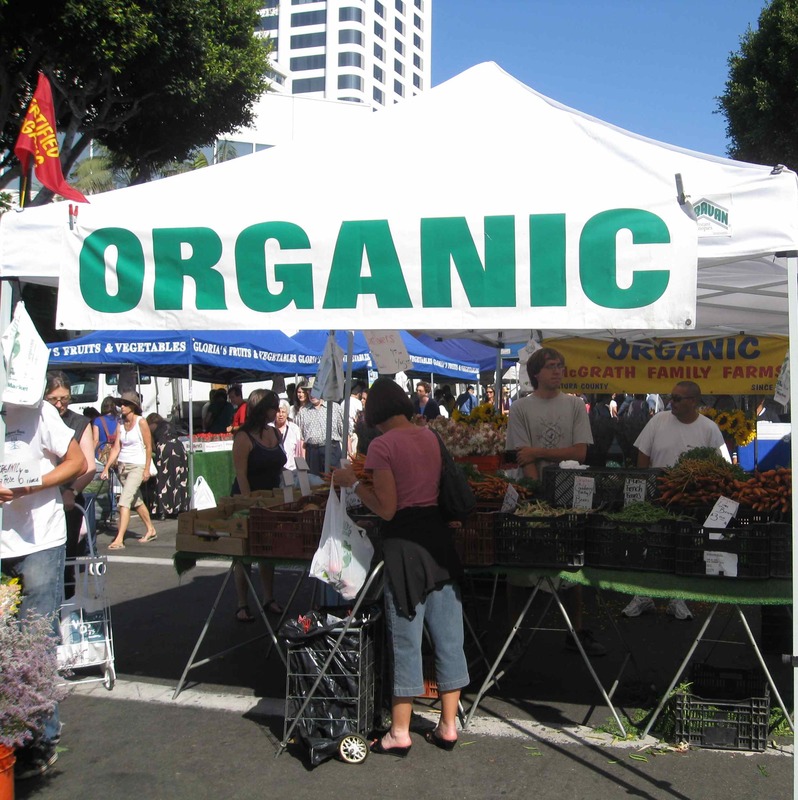 and imagine a world without organic farmers…we would be at the mercy of large scale commercial agriculture with the only option to grow our own food or eat what is offered, which means pesticide and herbicide laden food that is quite likely genetically modified. We can all show our appreciation by supporting farmers markets and by telling those farmers who show up week after week thanks for all of their effort. Just remember no farms means no food! Support your local farmers.